I’m a simple and plain gal just trying to clean up my life and make things simpler for my complicated family. I’m a wife, mom, step-mom, writer. teacher, gardener, photographer, and homemaker wannabe. Like everyone else…too much to do, and not enough time to get it all finished. My daughter and me in front of a campfire. She's not sad, just reading a book. If you are wondering what makes me qualified to write about these issues, below is a bit about how I’ve come to learn what I know in each of these topics. In the process of trying to figure out how to earn money on my small farm, I started exploring sustainable agriculture. I worked for two years as a naturalist at a environmental learning center, and currently teach Biology and Environmental Science to high school students. My students think I’m nuts some days because I can get pretty fired up about things like garbage and global warming. I’ve learned a lot over the last 5 years, through my other passionate friends, and by reading. 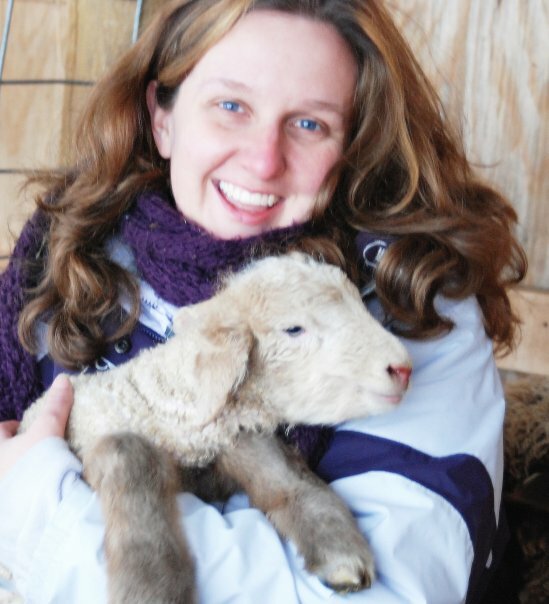 This lamb was born on the coldest day a few years ago when it was about -25 F.
I graduated with a Bachelor of Science in Animal Science from Michigan State back in the 90’s. (Read: studied Big Agriculture from an animal husbandry perspective). I worked at a dairy farm, a beef farm, and for a related dairy industry company right out of college. I come from an extended family that farmed, and live and teach in a rural community. Family farmers are some of the hardest working folks around. They’ve also been given the shaft in many cases from the big Ag corporations. I hope that by reading this blog, you don’t think that I dislike farmers. In fact, I have a big heart for them. It’s the big Ag corporations that make me mad. I am a raiser of heirloom tomatoes. In my quest to move to the country, I started a tomato growing business in which I sold fruit and plants at local farmer’s markets. I got divorced and had to sell the farm, but I still grow heirloom tomatoes, and do a lot of canning and freezing for my family. Want to hear something funny? I don’t even like to eat tomatoes unless they are cooked or in salsa. We can and freeze the produce from the garden. We raise chickens for eggs, and I have also raised sheep and beef cattle for meat in the past, although I currently buy our freezer meats from local farmers. 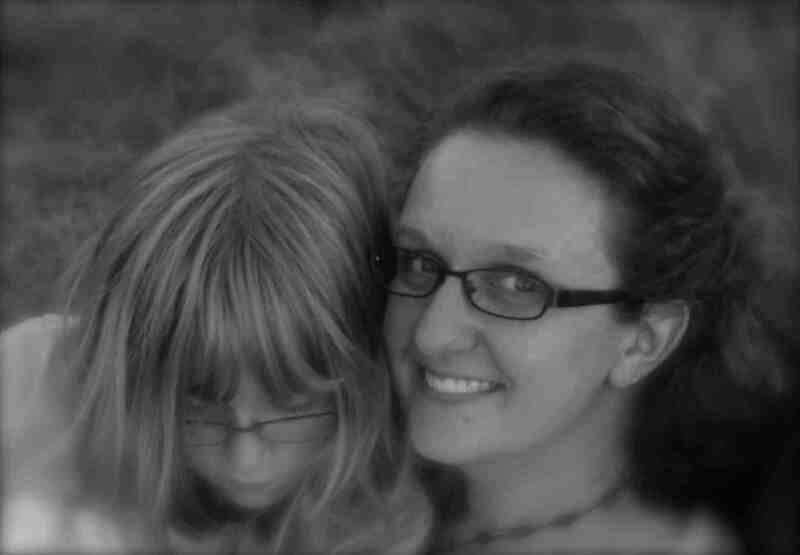 I’m mom to a wildly eccentric and wonderful nine-year-old daughter, that has a blog of her own, www.geekyreader.wordpress.com. I am step-mom to three more kiddos. Being a teacher at all levels from 1st to 12th grade has come in handy while trying to sculpt our blended family. This blog is a culmination of all the things I’m currently learning and feeling fired up about. I’ve done all sorts of artsy and creative things from pottery, painting, wool spinning, writing and furniture refinishing to my current loves of writing and photography. My husband grew up Mennonite, I grew up with a mom that was frugal, and I lived the first 15 years of my adult life paycheck-to-paycheck. Together, my husband and I are looking at ways to live more gently on the earth, be mindful of how we are living and how it affects others, and make our complicated family structure as simple as possible. I am a nonfiction writer. Since college I’ve taken writing classes, worked with other writers in writer critique groups, and finally launched my blog one year ago. 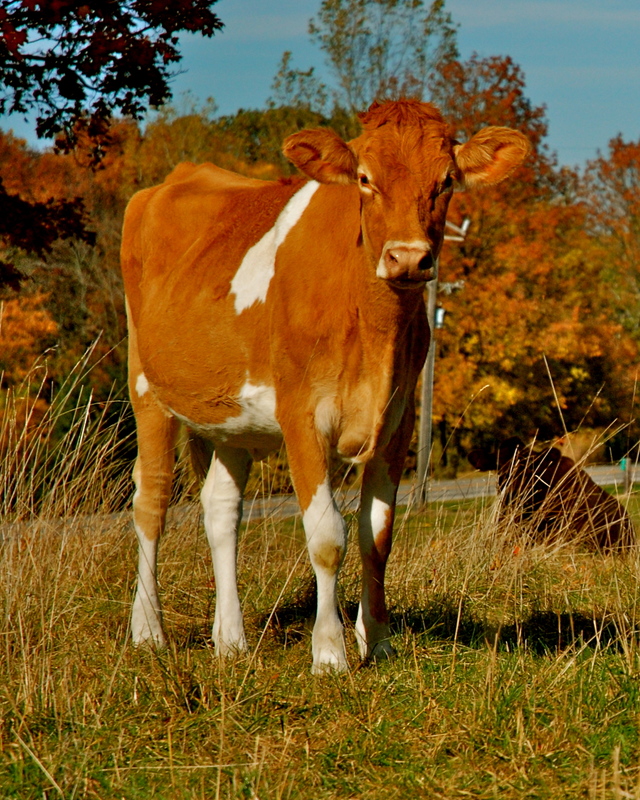 Lately, I’ve been writing about sustainable agriculture. If you need help with a writing project, I am available for hire. If you want to swap guest posts, let’s talk. You can reach me on Twitter @jennyfrech. I’ve been dabbling with photography for about six years now, but in the past year, have tried to step it up a few notches. I use a Nikon D80 for those who wonder about such things. My advice to budding photographers is to learn how to use your camera on the manual settings, so that you control the image. Then go out and try to capture the spirit of the things you love. I have an etsy site, http://www.etsy.com/shop/blewe. You can see some other photos on my flickr site. Most of the photos on my site can be purchased on etsy, or by email. If you don’t get a response in a day or two from email. Try me on Twitter; it’s possible you ended up in my Spam box.